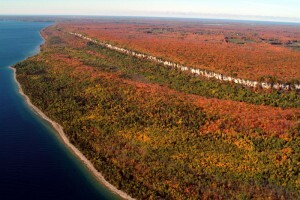 The Bruce Peninsula is a beautiful sight to see both from the ground and from the air. 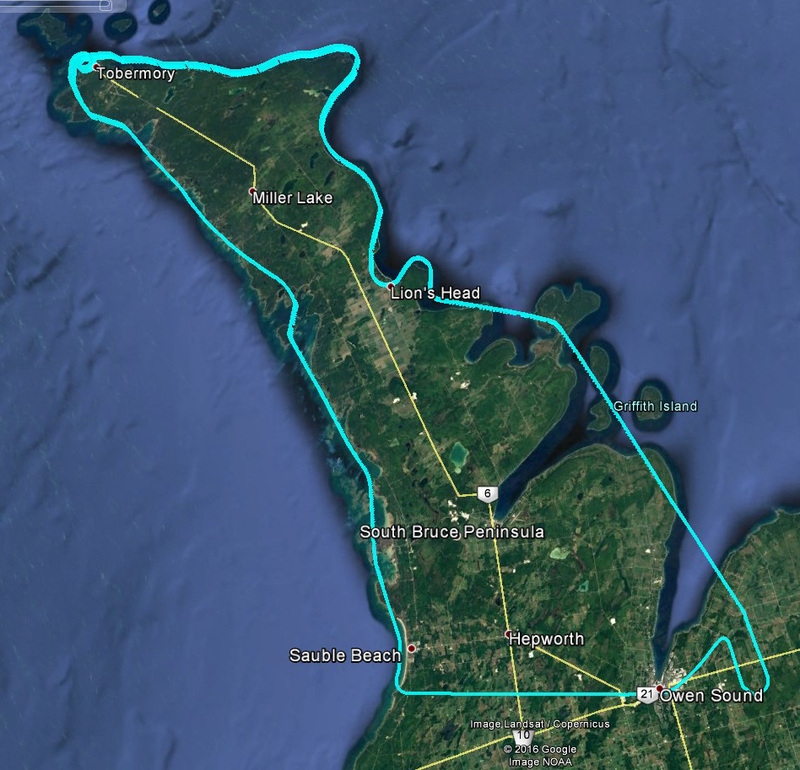 The shoreline stretches from Sauble Beach, up to Tobermory and back down to Owen Sound, and that is exactly the journey we will take you on in the air. This is a 1.5 hour flight where you will experience natures beauty from above. 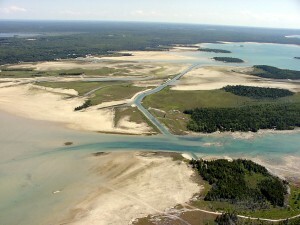 We depart Owen Sound and head for the Lake Huron shoreline, and Sauble Beach. As we fly over the second largest fresh water beach in the World, we wave at the people below and proceed north. Flying by the beautiful colors in the waters near Oliphant we can see just how low the water has dropped by the visible sandy bottom of the sea floor. We continue north towards Stokes Bay, passing by Lyal Island and a shipwreck near the shoreline. Past Dorcas Bay and we reach the peak of the peninsula, Tobermory! As we fly over Big Tub Harbour, you will see a couple shipwrecks down below, next to the quaint town home to about 3500 people year round. As we leave Tobermory you might even see the Chi-CheeMaun Ferry making it’s daily trip to and from Manitoulin Island. Heading down the Georgian Bay side of the peninsula you will first notice the rocky shoreline and great escarpments! As we make our way towards Cabot Head, we dip down to about 500 feet off the water, which puts us almost parallel with the height of the escarpment next to us! We continue southbound as we pass by the picturesque town of Lions Head, and the great bluff to the east. Just past Cape Croker and the prominent escarpment near Wiarton, we weave through the 3 islands; Hay, White Cloud and Griffith, which look beautiful anytime of the year! 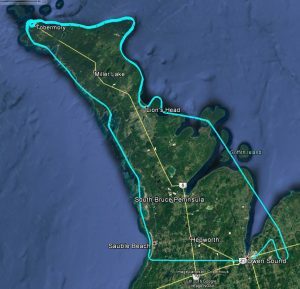 We proceed down the shoreline towards Owen Sound and hang a left towards the airport for a smooth landing, and an unforgettable experience! Pictures and videos just don’t do this trip justice, you have to see it from the air! And don’t forget to bring a couple friends with you! $425 +hst for 3 People!